Co-author Jennifer Kelley, an Adjunct Research Fellow in UWA's School of Biological Sciences, said the study, published in the Journal of Evolutionary Biology, set out to discover whether there was a link between the distinctive orange-and-white stripes of clownfish and their anemone hosts. 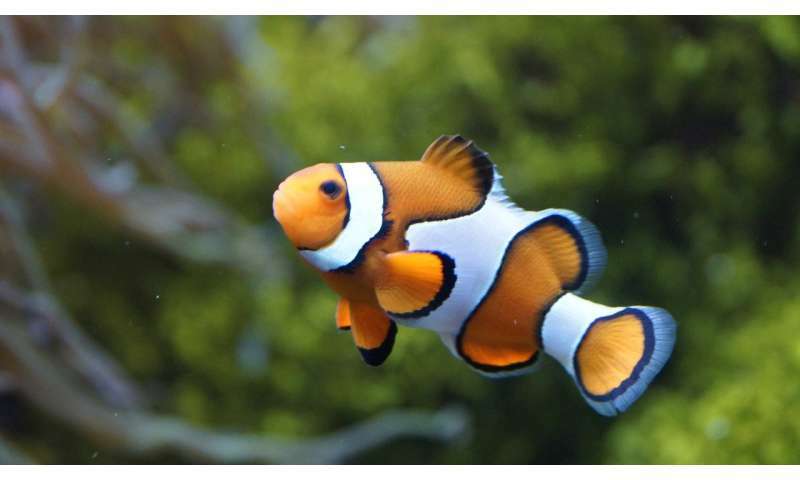 Dr Kelley said clownfish, made famous by the 2003 animated film Finding Nemo, were named for their bright, flamboyant colouring but the function of the colour patterns had not been investigated before. "They have a unique symbiotic relationship with their anemone hosts, which use stinging tentacles to catch prey, while the clownfish remain unharmed and protected by the anemone," she said. The researchers collected data from 27 species of clownfish and the 10 known species of host anemone. They then tested for an association between fish colour pattern traits and the protective properties of their anemone hosts, including toxicity and tentacle length. They found that fish with fewer stripes occupied fewer anemone species and hosts with shorter tentacles than fish with multiple stripes. Anemones with shorter tentacles tended to be more toxic than those with longer tentacles, suggesting a complex evolutionary relationship between clownfish stripes, host specialisation and anemone toxicity. Dr Kelley said this could be a rare example of an animal that uses its bright colouring to warn predators about the toxicity of another species, perhaps due to the unique nature of this symbiotic relationship. "It's well known that bright colours in animals can be used to warn predators about prey toxicity before they attack," Dr Kelley said. "What we found suggests that the clownfish were using their anemone hosts to generate a warning signal to predators that says beware of their bright colours because they're associated with the venomous anemones. "There are many aspects of the clownfish-anemone relationship yet to be tested. For example, we do not know how conspicuous the patterns are when viewed against the colourful anemones, or how striped patterns affect the behaviour of predators. "These findings enhance our understanding of the evolution of symbiosis and the types of benefits that may be obtained through these unique relationships."